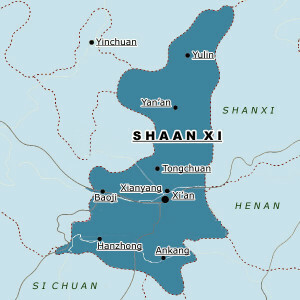 Xianyang is a city of five million, located in Shaanxi Province in north central China. The Wei River, a tributary of the Yellow River, flows through its center. Established more than 3000 years ago, it was the capital city of the first Chinese emperor. Xianyang has a diverse mix of industry and institutions of art, culture, and higher education. Lying in a region of abundant soft coal heavily used by its industries, it faces serious pollution control challenges that provide an immediate opportunity for technical exchanges with Rochester. It is served by the international airport of nearby Xian, likewise a former capital and home to the tombs of the famed terra cotta warriors. Activities have included Xianyang high school students staying in local homes, webcam conferences and pen-pal relationships. Exchanges are being developed involving local pollution abatement professionals and museum collections. The Xianyang-Rochester Sister City committee seeks volunteers to become involved and have some leadership role in taking our relationship to the next level. Xianyang, China is Rochester’s 11th Sister City, having been officially partnered seven years ago. The committee has sponsored several visits to Xianyang and has hosted three visits from Xianyang, as well as some long term stays by Chinese officials and students. In addition, we have sponsored e-mail pen-pal programs, video webcams between students and have worked toward supporting humanitarian efforts and mutual understanding. Xianyang is in the very center of China and was its first Imperial capital more than 2500 years ago. Home to the world famous Terra Cotta warriors and dozens of ancient imperial burial sites, the area is loaded with Chinese history. Unlike the cosmopolitan culture of the large Eastern cities of Beijing and Shanghai. Xianyang is less tainted by external influence and very much reflects true Chinese culture. For more information, contact Co-chair Mike Coniff at 585-732-5803 or at Coniffmike@gmail.com.